Usually, it takes more than 1 (one) person / team to do inventory counting. 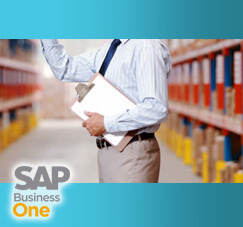 SAP Business One also has this ability to help you doing inventory counting, so you can do inventory counting with more than 1 counters / team counters. Figure 01 – Set Multiple Counters for an Inventory Counting Document. Figure 02 – Choose Counters. Figure 03 – Multiple Counters in Inventory Counting Process.